Six (6) Sigma and Lean Six Sigma techniques are related and similar to the teachings for Dr W Edwards Deming. 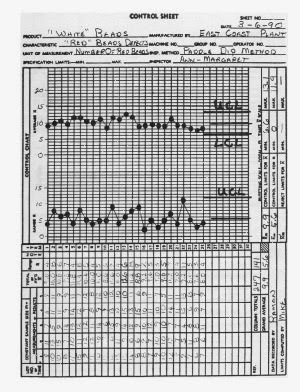 Both utilize the use of data collection and Statistical Control Charts (SQC) in their process improvement tools. The Deming Red Bead Experiment with it's box of Red and White beads and paddle to draw the beads from the box is an excellent device to teach the fundamentals of SQC Control Charting techniques. 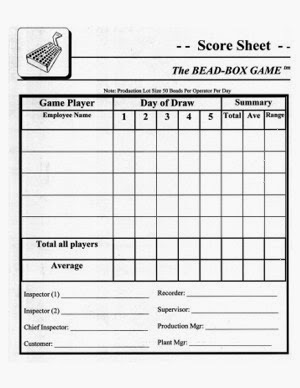 By drawing the beads from the box and recording the results on the Score Sheet, they student has data to be used for plotting the Statistical Control Chart.